Hacked something fun together for the kids. 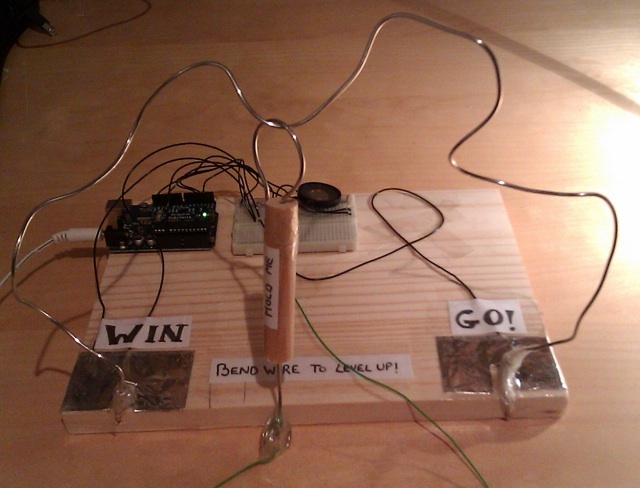 Used an Arduino, lots of tape, a speaker, 3 resistors, wire and tinfoil - it’s one of those bendy wire buzzer game things. It goes Nu uhhh! when you lose and plays a fanfare when you win.